Last year was a problematic one politically and economically for Latin America. Its biggest economy, Brazil, is still going through the worst financial crisis ever recorded. That lead to a polarized election and made a far-right wing politician the new president. In Mexico, the financial markets, as well as part of the population, are concerned about the new left-wing president elected. And even Argentina’s president Mauricio Macri, who was elected to put the economy in order, is struggling to stabilize things as prices rise and the Argentine peso devalues. Worst of all, Venezuela is in a humanitarian crisis, worsened by a crumbling economy and hyper-inflation. With all that news, you might think that it was a terrible year for the startup and fintech ecosystem in the region. Well, I’m happy to say that is far from the truth! Even with all these issues in the region, 2018 was the best year for fintechs in Latin America so far. The financial crisis in the region only fueled the lack of trust in financial institutions, making the population even more eager to find alternative solutions such as the ones fintechs offer. Let me walk you through the main milestones for the region in my opinion. Let’s start with what excited me the most in 2018, the investments that happened in the region. For a few years, everyone had been expecting the rise of unicorns from this new generation of tech startups in the region. The first unicorn not only appeared but brought some friends with it. In total, 9 Latin American startups that made it to the $1 billion mark in 2018, and, not surprisingly, three of them were fintechs. Definitely a fantastic milestone for the region, putting Latin America back to the global investors’ radar for tech startups as a whole. Brazil led the way with two fintechs surprising the world by making successful IPOs in American stock exchanges. Pagseguro and Stone both shone while ringing the inauguration bell on NYSE and NASDAQ, respectively. Nubank also showed that is truly becoming a threat to Brazil’s banking oligopoly, receiving two massive rounds in a total of $330 million and achieving a $4 billion valuation. A couple of other Brazilian fintechs also raised significant amounts such as Conta Azul ($30 million) and Neon ($18 million). It’s is true that Brazilian fintechs are leading the market in the region, but Mexico is increasing the pace also. The lending platform Konfio raised a total of $85 million ($25 million in equity and $60 million in debt) and Creze, another lending platform, received a $10 million debt round. Also, the remittance startup AirTM scored a $7 million series A round. Other relevant fintech investments in the region were the $7.5 million Series A round in Peru’s Tienda Pago, the $34 million round in the Argentinan Ualá, and the $1.6 million equity round plus $200 million debt commitment in the Colombian Portal Finance. Another essential advance last year was in regulation. 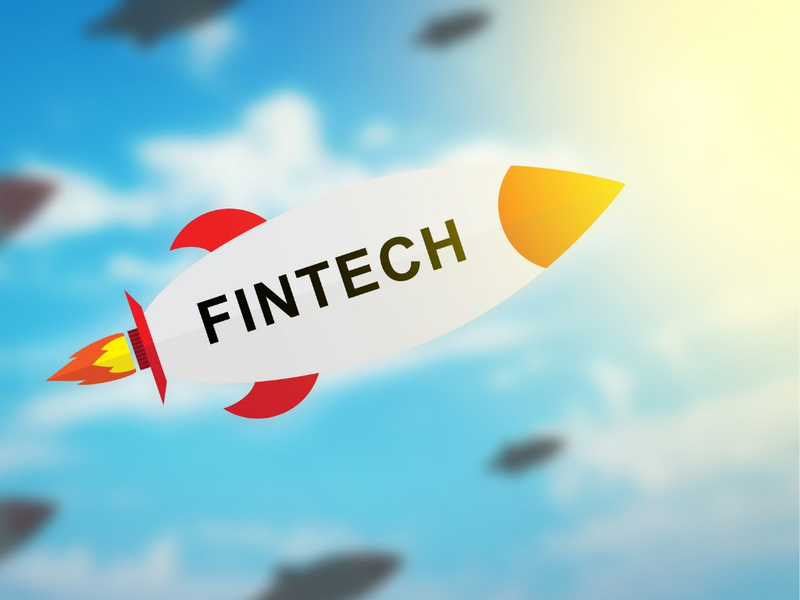 Earlier in 2018, Mexico made a huge step toward becoming a fintech hub in the region by approving its Fintech Law. That made it the first country to compile a set of regulations for fintechs and to create a regulatory sandbox. The Fintech Law regulates crowdfunding, online payments, and cryptocurrency. Brazil also approved some relevant regulations for the fintech ecosystem. Lending fintechs in Brazil no longer need to partner with a financial institution to be able to offer loans. Also, the government allowed foreign investors to own up to 100% of lending companies, allowing more foreign capital as well as the entrance of global fintechs in the market. The Brazilian fintech ecosystem showed a good maturity by launching a self-regulation guideline. On the crypto side, the Brazilian SEC allowed local funds to invest in off-shore crypto funds, finally enabling institutional investors to have access to cryptocurrency investments. In the other countries in the region, Colombia launched a crowdfunding regulation, and Chile made advances to approve its Fintech Law. Unlike the crypto winter that is happening globally, Latin America is starting to position itself as a crypto friendly region with some countries having incredible adoption of this technology. Not necessarily because of their enthusiasm for the technology but as a necessity to survive, as people say: “Necessity is the mother of invention”. Venezuelans are going crypto to survive in a very challenging environment. The situation is so critical that the country jumped from one with the least adoption to one of the highest cryptocurrency adoption in the world, all due to an inflation rate expected to reach 1,000,000% (I know there are far too many zeros in this number, but that is the correct one). People are buying cryptocurrencies to try to avoid the devaluation of the Bolivar (Venezuela’s currency) and they are starting to use it in their daily life. Dash is becoming a very popular cryptocurrency, and is said to be accepted by more than 2,200 merchants in Venezuela. Even the Venezuelan government joined the crypto world; it launched PETRO, a cryptocurrency backed by Venezuela oil reserve. Although PETRO is the first coin issued by a government, it is surrounded by skepticism as most people don’t trust the government. In Argentina, the lousy economy is also incentivizing the adoption of cryptocurrencies. Earlier in 2018, crypto ATMs were starting to be installed with plans to reach 1.500 by the end of this year. Brazil finally had its first crypto investment fund launched right after the change in the regulation. Even the most significant investment firm, XP Investimentos, decided to enter the game and launched its own cryptocurrency exchange, XDEX. Fintechs are only flourishing that much in the region because they are trying to solve real problems that the financial system couldn’t (or didn’t want to) address. More than 50% of the population in the region is still unbanked, while the rest pay way too much for terrible financial services. Also, we still see banks using their oligopolistic position to prevent the fintechs to compete. Banks won’t open banks account for crypto fintechs in most countries and, sometimes, they just close without any explanation. Or they refuse to offer essential financial services to fintechs, making much harder for fintechs to start. I’m very optimistic not only on the market opportunity for fintechs in Latin America but also on the impact they can have in people’s lives. I’m quite sure this year will be an incredible year, but I’ll save my predictions for another post. Thiago Paiva is a partner at Liquia Digital Assets, an investment bank for the digital assets economy. He is passionate about the intersection of finance and technology. He has 8+ years working with startups and innovation, investing in more than 60 startups through global accelerators Wayra (Telefonica’s global accelerator) and Startupbootcamp Fintech. He worked closely with more than 20 fintechs from 8 different countries for the past five years. He lives between Asia and Latin America exploring and connecting the fintech markets in those regions.